Oklahoma Archives - TheUrbanMusicScene.com | Concerts & Festivals! LOS ANGELES, July 9, 2018 /PRNewswire/ — Grammy Award-winning pop legend and dance superstar Paula Abdul has announced a new North American tour this fall – STRAIGHT UP PAULA! – her first solo outing in over 25 years. Justin Timberlake Announces “The Man Of The Woods” Tour | Kicks Off March 13th, 2018 – WATCH VIDEO! 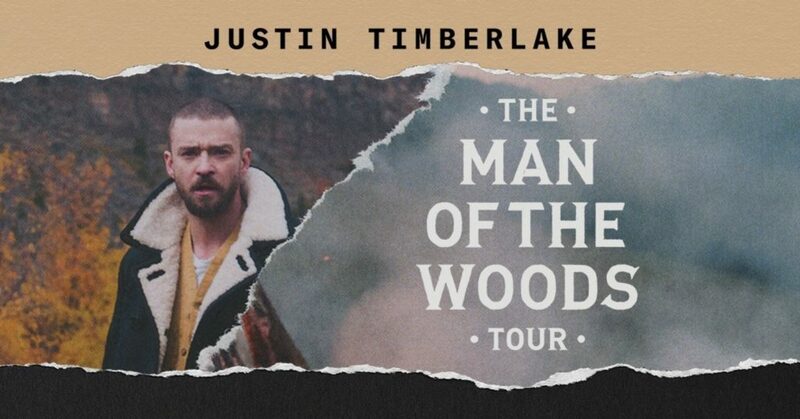 LOS ANGELES, Jan. 8, 2018 /PRNewswire/ — Global superstar Justin Timberlake announced today that he will make his highly anticipated return to the stage with The Man Of The Woods Tour. Produced by Live Nation Global Touring, Wright Entertainment Group, LBI Entertainment & Tennman Touring, the North American outing will kick off March 13 in Toronto and stop in 27 cities, ending in his hometown of Memphis on May 30. 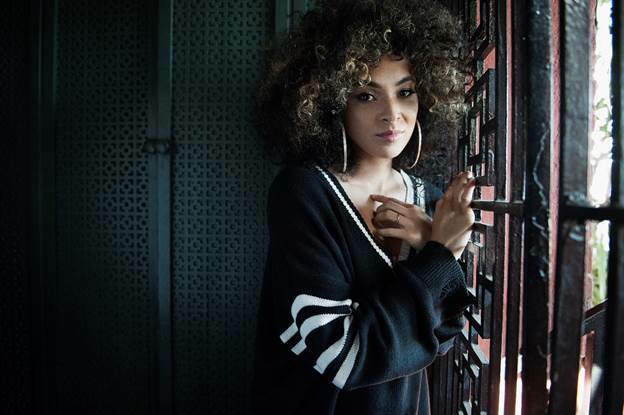 Up and coming singer and pianist Kandace Springs has announced that she will be opening for multi-platinum and award-winning artists Daryl Hall & John Oates and Train along their co-headline North American summer tour, which kicks off May 1 in Sacramento, CA and wraps August 11 in Seattle, WA. 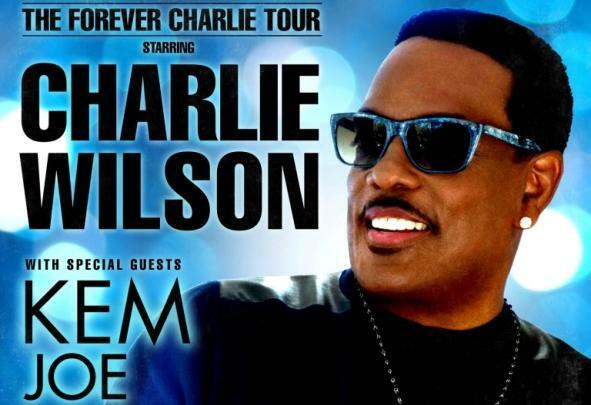 New York, NY – Grammy nominated artist Charlie Wilson announced today his new national tour Forever Charlie will kick off on February 12, 2015 in Cleveland, OH and will wrap on March 27 in Oakland, CA. The tour is named after Wilson’s upcoming album that is slated for a January 27 release on RCA Records. In the wake of a wildly successful twenty-five date national excursion this past March and April, the Experience Hendrix Tour is set to launch another trek across the U.S. in September and October. 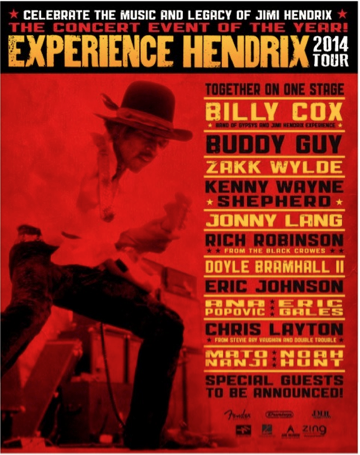 The Experience Hendrix Tour has been paying homage to the musical genius of Jimi Hendrix for over a decade, bringing together a diverse, all-star aggregation of extraordinary guitarists including multiple Grammy-winning Kennedy Center honoree Buddy Guy, Jonny Lang, Kenny Wayne Shepherd and Black Label Society’s Zakk Wylde. 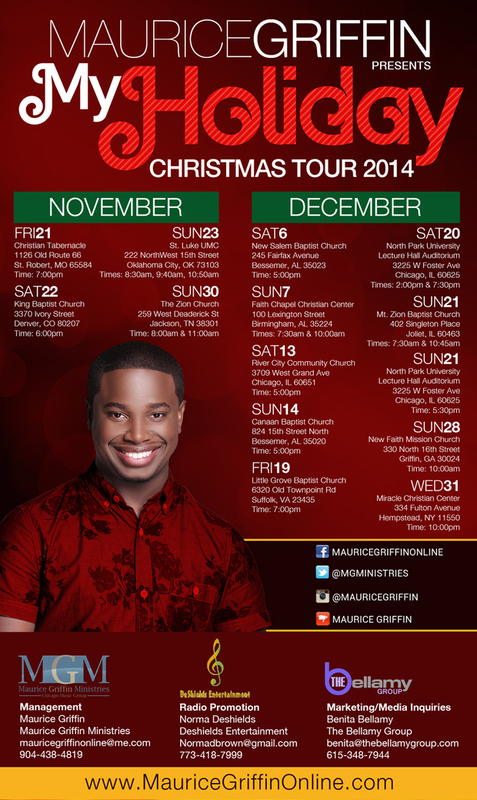 Maurice Griffin set out to expand a new phase of his music career after capturing the attention of a nation as a finalist on season two of BET’s Sunday Best Gospel competition television show. Since then, the powerhouse vocalist and passionate worshipper has elevated his music ministry to a global audience, all as an independent and self-managed artist.